If there is something that is bad for dogs, it is temporary separation from their owners. There are those who begin to cry when they see the door closing. And there are also those who take a little longer to manifest their grief and despair, which translates into tears, barking, house destruction, urinating everywhere, stereotyped behaviors like constant leg licking and terrorizing neighbors to the point where they threaten to take legal actions. In course of time separation anxiety in dogs becomes more of a bane than a boon. A situation comes when you likely feel to lose your pet. It is an irony that now you feel the pangs of separation. It is a state of nervousness and fear that some dogs suffer when they are left alone at home. The uncertainty of when you will return or if something will happen while it is alone only produces episodes of anxiety and panic, in which they can even resort to destructive behaviors and aggressiveness. As dogs are great to pack animals, they are not accustomed to being alone, so when they are without humans wholly and around alone, they resort to destructive behavior to relieve the high stress they feel at that moment. There is even a misconception that dogs behave so as a form of revenge. Of course, the barking of a dog is not always a sign of separation anxiety; there may be stimuli or noises around him that make him stay alert. When there is no one at home, the dog scratches furniture, walls, and doors, destroy papers. Sometimes they try to open the door of the house to escape in search of its owner. That a dog is happy to see you are normal, but sometimes the reactions can be exaggerated; Joy can make them bark excessively, bite, pee. These extreme reactions are usually an unmistakable sign of anxiety. If your dog is afraid of being left alone, it is to be expected that he will try to prevent your departure. It can get nervous to the point of biting. But don't worry! All this has a solution. Every problem has a solution so is the case with this kind of anxiety , too! If your dog does not support staying alone, we tell you everything you need to know. This way, he will find himself more calm (or tired) when he returns home and will tend to lie down to rest instead of crying and destroying everything. Also, of course, it will keep the memory and the satisfaction of having started the day taking a walk with you. If you project a sad appearance or gesture on your part, it will identify you're leaving home as something negative, and that would be counterproductive. Just go out without many farewells, trying not to give importance to the situation. On the other hand, do not mount a party of greetings when you return, it will think that you have "suffered" all day for being without him, because "leaving home is a bad thing." We need to normalize the fact of spending a few hours away from home, without giving it more importance. Dogs need to have a leader; If he does not see you as such, he will appoint himself a leader and do whatever he pleases. This applies to all the education and training of an animal: it must be done with respect and patience, but with determination and showing that you are the one who commands. 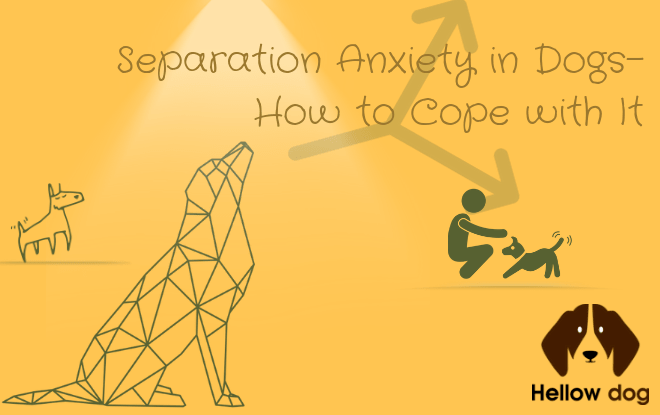 Things do not work out overnight; it may take a few weeks (or even a few months) to fight the separation anxiety in your dog. But we know you will get it! Dogs that are tired tend to be less fearful, so it is worth getting it to run out before leaving home. Exercise is a wonderful sedative. Some dogs never get used to being alone. If you can not stay home during the day, hire a caregiver to go once a day. Or point it out to a dog daycare center, where it will enjoy the company. 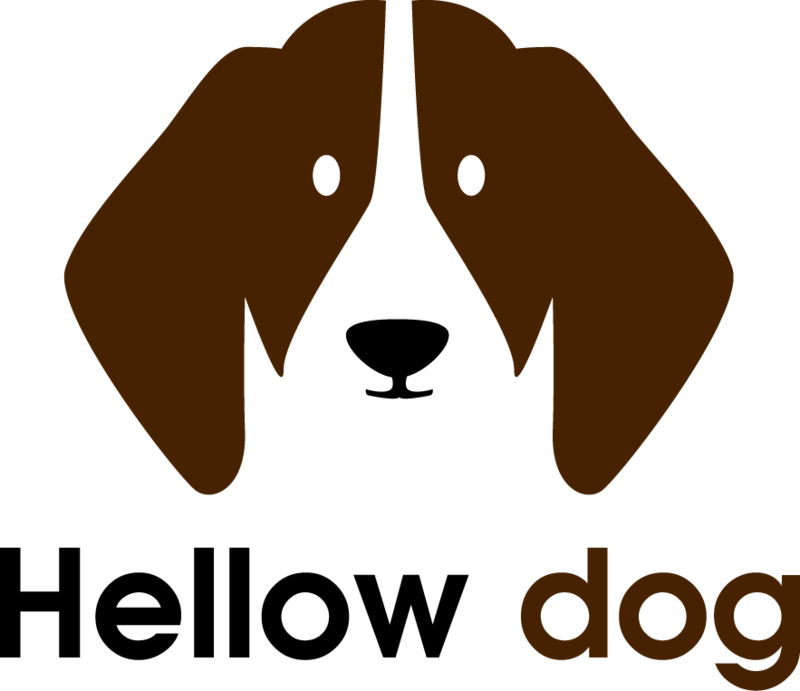 A Dog crate is an excellent option as regards caring for your dog with separation anxiety. You can stuff the crate with chewing toys so that it can practice its chewing habits on the toy, rather than your furniture or other properties in the home. Being essential to accomplish long exits in which your dog should stay home alone for a few hours, the toys will be your best allies. Do not forget that the best way to educate a dog is through positive reinforcement, to provide an environment in which the animal feels relaxed and enriched. Only then will he be able to relate to being alone with something positive. That way, before you leave, you can offer him gnawing bones that can be found at any veterinarian or pet store. On the other hand, toys that allow you to introduce food inside are helpful in combating separation anxiety. It will take a long time to reach for the food that is hidden inside the toy and will be entertained in your absence, thus forgetting its fear of loneliness. Our dogs love us very much and love spending time with us. They do not usually like us to leave home, but some dogs feel worse than others and tend to exhibit some anxiety behaviors. As a result, the tips above would help you in diagnosing and caring for your dog with separation anxiety.